Ever since I returned home from vacation my life has been rather busy. January was the month of conferences. The month was chalk full of trainings, workshops, and conferences. It has been nice to start to New Year with lots of things on my plate and I hope to continue this pace of work throughout the year. I can definitely feel things slowly changing when it comes my work. I am starting to feel more useful and needed at-site by my counterparts at the health center and at the high school. In January, I attended three major conferences: In-Service Training (IST), Program Design Management (PDM), and the Outdoor Ambassadors Youth Leadership Conference (YLC). 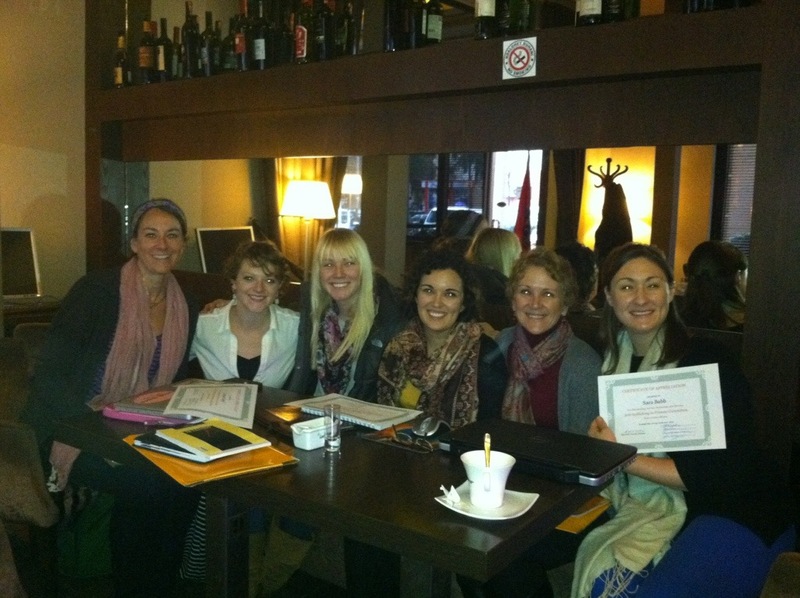 Group 16 health volunteers had our first IST training January 20th and 21st in Tirana. 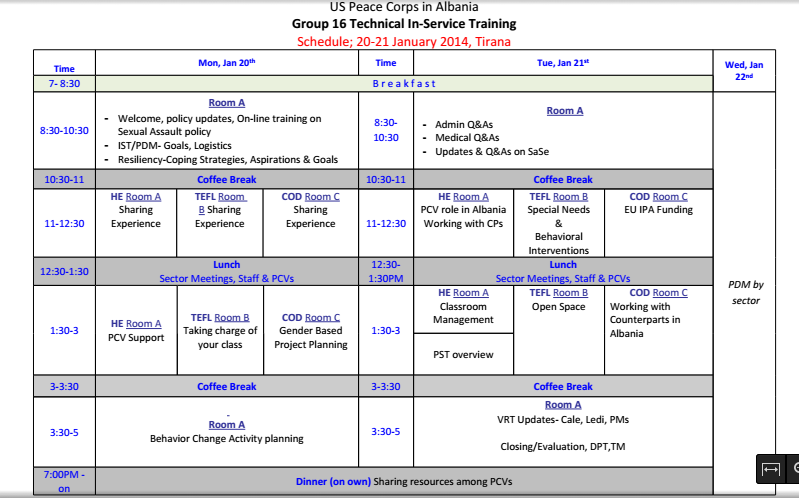 Our in-service training was an opportunity to receive support from Peace Corps staff and other volunteers. It was a nice experience to share success stories, as well as struggles. Sometimes it is hard for other people besides volunteers to really understand this experience since it is so unique. We were also updated on some new policies and procedures and we developed a behavior change plan. Overall, the in-service training was nice in the sense that we were able to connect with other volunteers regarding our experiences thus far in country. During the in-service training the Anti-Trafficking In Persons ATIP committee had our final meeting with group 15. Now group 16 (my group) has officially taken over lead of the committee. It is really excited to begin our roles within the group, but I will definitely miss the group 15ers who worked so hard to make ATIP the best Peace Corps committee. 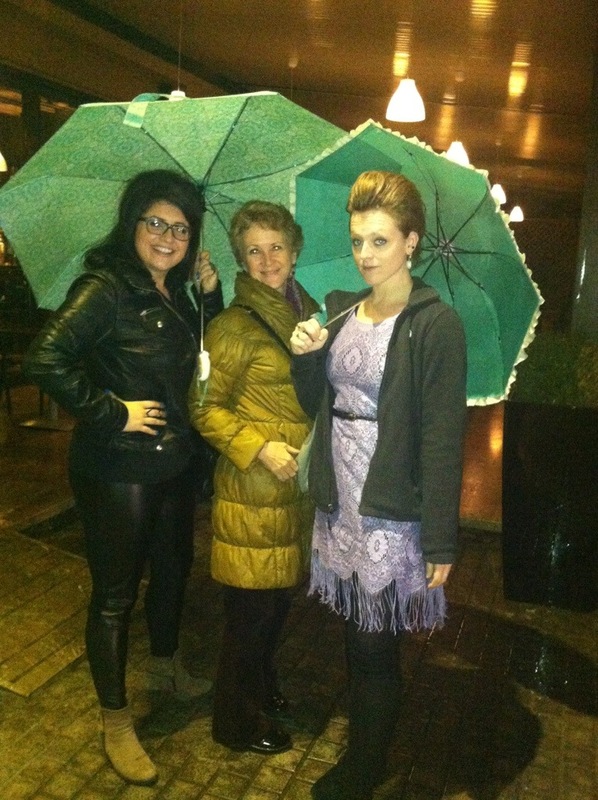 Some of the wonderful ladies of the ATIP committee. 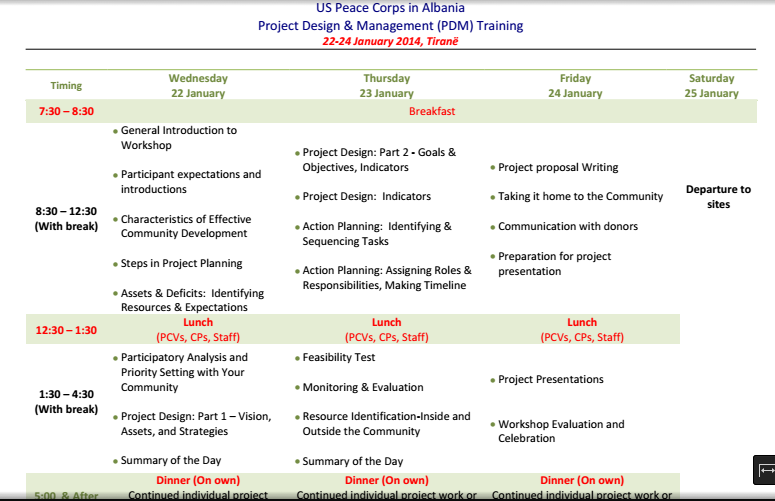 The PDM conference was held directly after our IST training from January 22nd to 25th. PDM was an interesting conference that was different than any previous trainings because this conference including our Albanian counter-parts. The purpose of this conference was to design a project that we could possibly implement later on in our communities. We learned about different components of a grant and the process it takes to successfully apply for funding. My counterpart and I had a rough start because we couldn’t agree on the topic of our grant and we were butting heads about small details of the project, but in the end we ending up working well together. We decided to write a project about cervical cancer education and awareness in my site. My counter-part originally wanted to apply for funding to get free PAP smears for girls in the remote villages, but in order to apply for a grant through Peace Corps the project must involve a training/educational component. Another volunteer informed my counterpart and me about a revolutionary practice that is taking place in many third world countries around the world that utilizes vinegar to check for cervical cancer. Instead of getting a PAP smear, that requires a specialized doctor to read the test, health professionals such as mid-wives and nurses can perform a simple test using just vinegar. The vinegar is applied to the cervix and pre-cancerous lesions turn white. These pre-cancerous cells can be frozen off with carbon dioxide. This revolutionary practice is quite simple and can be performed by almost anyone. It is also fairly cheap to implement. One of the issues in Albania is that only specialized doctors are authorized to give pelvic exams. Many of these doctors are not available in villages or even some smaller cities. In my site we only have one gynecologist for the whole city. This gynecologist is also not trained/authorized to read the results of the PAP smears. So, females in my site can get a pelvic exam, but the results need to go to Tirana in order to be read. This process can be very daunting and time-consuming for all those involved. We were very excited to try and implement this idea in Albania, but were quickly faced with the fact that mid-wives and nurses are not allowed to perform pelvic exams. This was very concerning for me and reminded me of one of the underlying issues that this country still faces. This practice is used in third world countries, but cannot be implemented here right now because only certain people are allowed to do pelvic exams. You are not allowed to do things outside of your practice, even if you received proper training through a workshop that we would implement. Since we couldn’t properly incorporate the medical aspect of it, we decided to focus on the educational piece during the PDM training. What we worked on at the training is not mandatory that we continue at site. It was just good practice to learn about all the steps required to implement a successful grant project in our community. As of now, we still have not decided what we will write our grant on. We are thinking of continuing with the cervical cancer project or First-Aid/CPR… I will keep you updated as the progress continues! 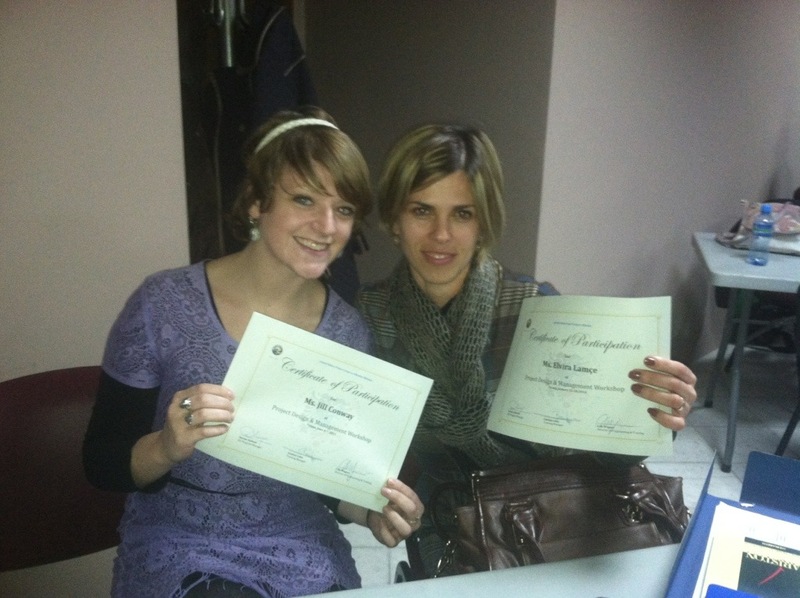 My counterpart and me on the last day with our certificates. Albanians LOVE certificates! 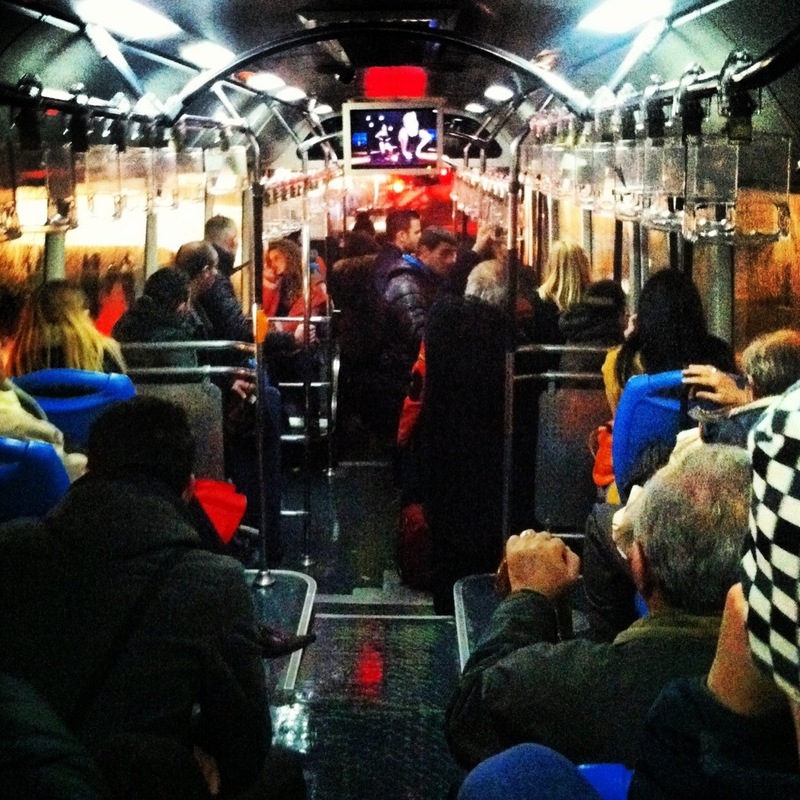 Riding in the public bus to go out to dinner. The last day of the conference some of us went out to sushi to celebrate! You may remember over the summer when I took part in the Outdoor Ambassadors summer camp. This conference is the other major project that the Peace Corps Outdoor Ambassadors committee focuses on. 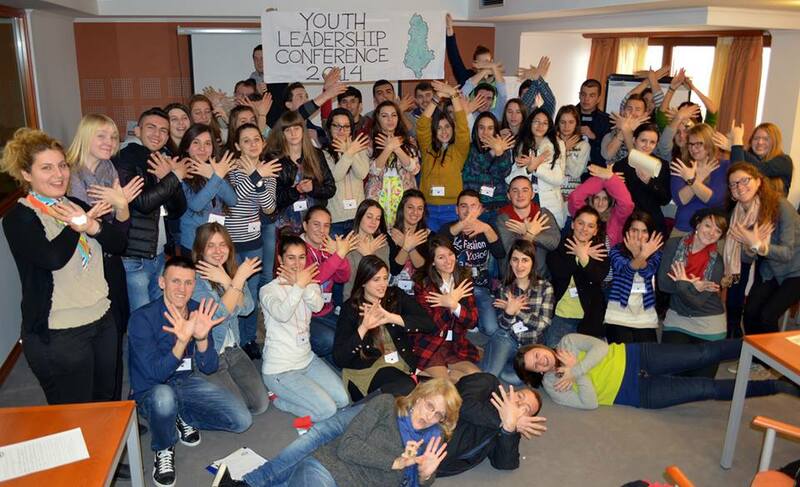 YLC took place in a village just outside Pogradec over the weekend of January 31st. I did not have a major role in planning or running any sessions, but since I am on the Outdoor Ambassadors committee I wanted to come and assist with any extra work. 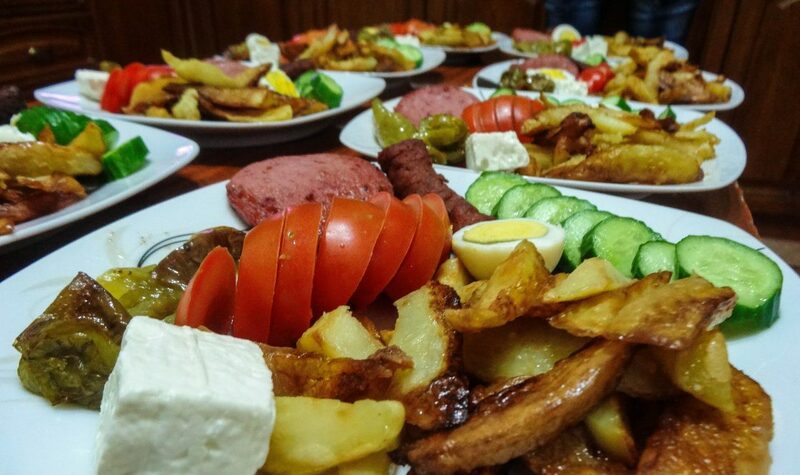 Forty students from around Albania were selected out of over 100 applicants. 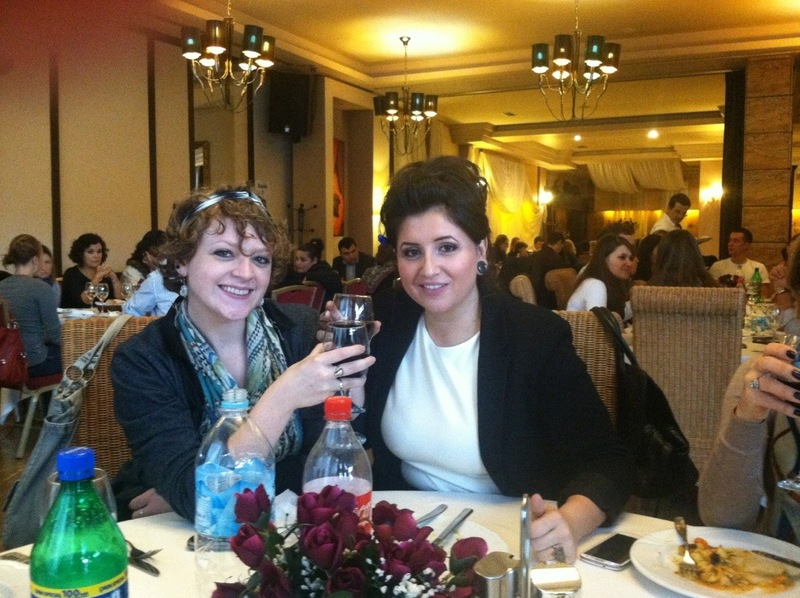 The best and the brightest students from across the country came with Peace Corps volunteers and their Albanian counterparts to take part in this amazing conference. The students learned PDM and ended up leaving the conference with a basic project plan to implement in their communities. Some students had projects surrounding beautifying the city through painting trash cans, raising awareness about environmental issues through the creation of youth groups, and having other events in the community to help raise awareness about different issues in Albania. It was really rewarding to see these teenagers in action and to experience their hope and excitement for their communities was amazing. I really enjoyed my time spent at YLC and can’t wait until next year! The whole group on the last day of the conference. I love Outdoor Ambassadors Albania!